This past spring, Five Valleys celebrated the permanent protection of 168 acres of prime ranchland, fish and wildlife habitat, and open space. 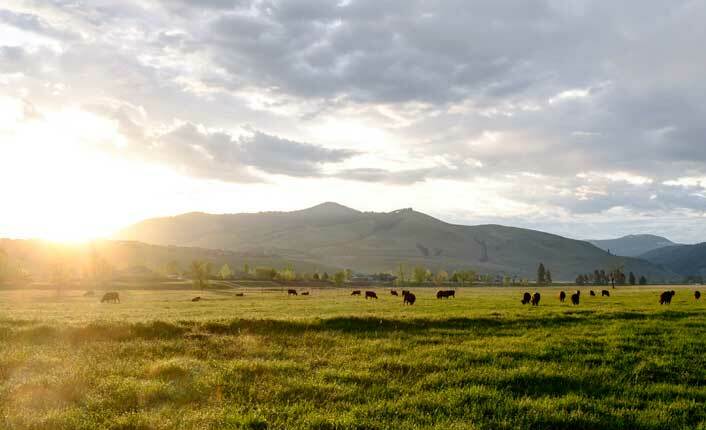 Landowners Bart and Wendy Morris own and operate the Oxbow Cattle Company, located on the south side of Missoula. Being close to town is a boon for business—their grass-fed beef can be found in many local markets and restaurants. 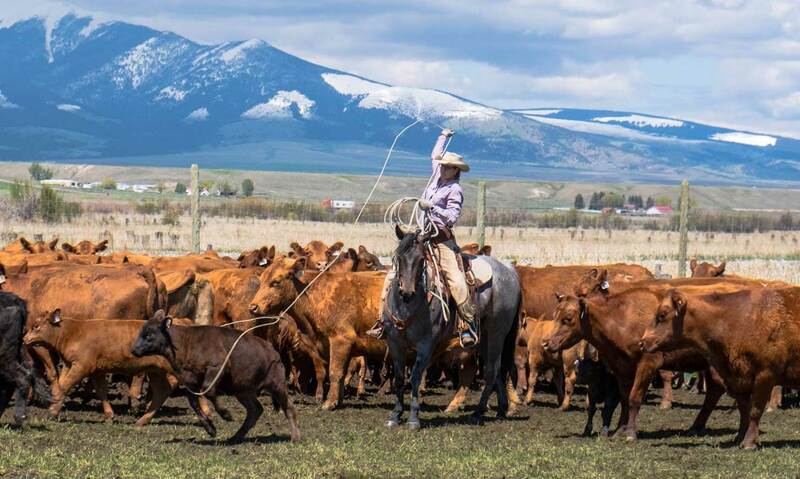 “We run our cattle right on the edge of Missoula, literally right next to a subdivision,” says Wendy. Their conservation project will ensure that their land will remain open space and available for agricultural use in perpetuity. Ninety-two percent of the property is made up of Agriculturally Important Soils, according to the Natural Resources Conservation Service. In addition, a portion of the property is located within the Bitterroot River Open Space Cornerstone, a geographic area designated as high priority for protection within Missoula County. The project also protects important wildlife habitat. Over a mile of Miller Creek cuts through the ranch, providing habitat for westslope cutthroat trout before it empties into the Bitterroot River. In colder months, over 200 elk come down from the nearby Sapphire Mountains to use the property as winter range. Mule deer, small mammals and a variety of year-round and migratory birds also make a home here. The project was awarded $175,000 from the City’s portion of the 2006 Missoula County open space bond and $165,000 from the Natural Resources Conservation Service’s Agricultural Land Easement (ALE) program. The landowners also donated to the project. Bart sums it up nicely: “Open space is critical. It allows for wildlife to move freely through the landscape. It allows us to produce local food for the people that live in the community next to us. And it also provides an open vista and an open place for people to appreciate and value.” We couldn’t agree more. Sunrise over the Oxbow Cattle Company. Photo courtesy of the Oxbow Cattle Company.